…I can’t say for sure that I recall what exactly Ingraham said during her keynote speech that chased Gov. John Bel Edwards out of the room. It might have been her discussion of taxes, or when she tore up Mitch Landrieu over the confederate monument controversy in New Orleans (the joke she opened that discussion with was that she’d brought a bronze statue of Donald Trump for all the attendees, but that Landrieu confiscated it at the airport), or maybe when she touched on how Louisiana needs to be more competitive to bring business investment like the $50 billion ExxonMobil is spending mostly in Texas and New Mexico. At some point in Ingraham’s tour de force Edwards proceeded to make himself scarce. 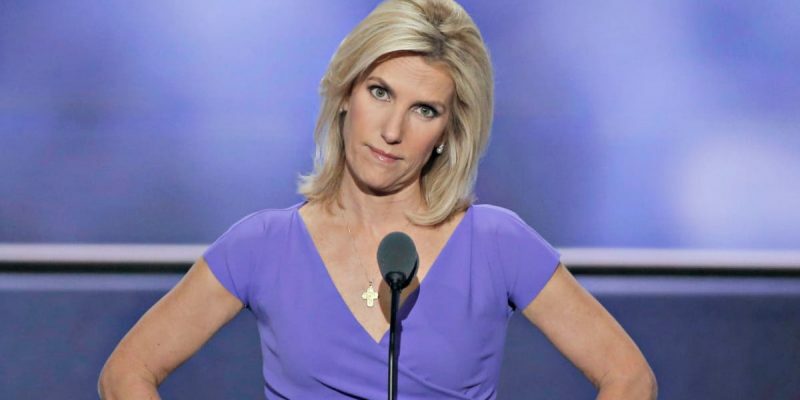 Ingraham is a rather aggressive partisan Republican and conservative, so it’s fair to have expected her to outlast Edwards. And surely the governor’s people could defend his departure by saying he’s saddled with a busy schedule. But the fact he left mid-speech was the talk of the room following the program at LABI’s event today. Prior to the luncheon at which Ingraham spoke was something perhaps even a little more interesting. There was a panel discussion starring LABI president Stephen Waguespack, Louisiana Treasurer John Schroder, famed Louisiana economist Loren C. Scott and Ohio assistant treasurer Frank Kohstall, who spearheaded the project to bring to life the state-of-the-art OhioCheckbook.com project LABI and other conservative groups in the state are advocating Louisiana copy. 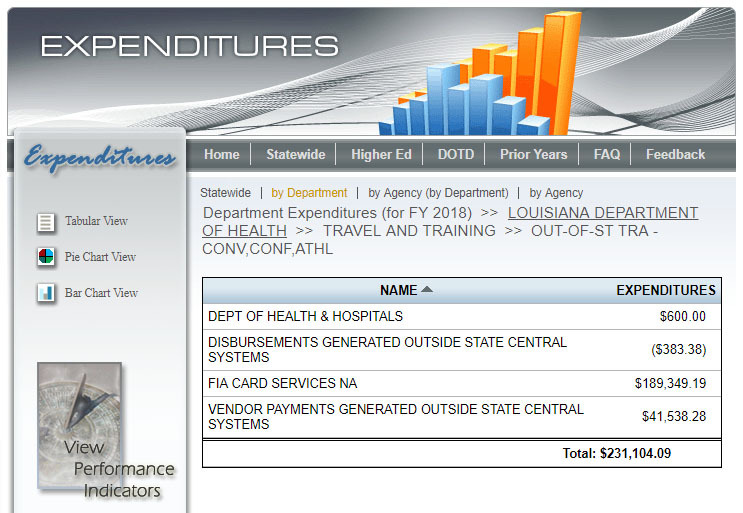 Kohstall’s presentation was an interesting one, as he took the crowd through the site (see it for yourself here) and showed how easy it is to drill all the way down to individual line-item expenditures by governmental entities. At the Ohio Checkbook you can find out all the salaries of that state’s employees, you can see how much the Ohio Department of Transportation spends on office supplies, and so on. Obviously much of that information might be a little “in the weeds” for ordinary folks, but with that level of detail in governmental transparency at the fingertips of anyone interested in looking at it it becomes a whole lot harder to walk off with the taxpayers’ money. In the Q&A that followed, Kohstall answered a question about the cost of building the Ohio Checkbook by saying it cost about $800,000 to put it together. And after the panel discussion he told me onboarding agencies was simple, because the interface works with any accounting system that exports to Microsoft Excel. They’re putting all of the local governmental entities – cities, counties, townships, library districts, public colleges, school systems – on board now, and their software works for every accounting system those entities use on a computer. But LABI was asked by Louisiana Commissioner of Administration Jay Dardenne, who had said yesterday that the Louisiana Checkbook idea was a “red herring,” if the Division of Administration could be afforded the first question in the Q&A. Waguespack said yes. Dardenne failed to show, and instead sent his assistant Randy Davis to the podium to explain that maybe some elements of the Louisiana Checkbook could be made a reality if it was possible, and that DOA (which is a nice, ironic acronym in this context) was in the middle of a three-year, $120 million project to put the state agencies on board LaTrac, the creaky, user-unfriendly, Windows 3.1-style Louisiana version of the Ohio Checkbook, and maybe when all of that was done some elements of LaTrac could be made to look like the Ohio Checkbook. Which gives you no worthwhile information at all. If that doesn’t boil your blood as a Louisiana taxpayer who’s being shaken down by Edwards for even more money to fund a grossly, malignantly incompetent state government which generates a bang for your buck on – pick a subject: roads, healthcare, schools, you name it – that rivals that of the worst Latin American failed states, then you’re not paying attention. Because that way you don’t get to find out that while they’re spending $300 on new boots for the Parks & Rec employees in Kettering, Ohio, they’re spending $3,000 on the same thing in Livonia, Louisiana or at the state Department of Transportation and Development. This isn’t all that complicated. It’s certainly infuriating. So you’ll forgive me if I enjoyed the fact that Ingraham ran Edwards out of that room in a huff today.